Ramatuelle. Familial south-west facing house, greenery and close to the beach. Adjoining villa of 155 sqm, consists of: an entrance hall, a living room with fireplace, a dining room, a kitchen, a bedroom, a shower room, toilets, a laundry room, cupboards, 3 other bedrooms, a bathroom and toilets. 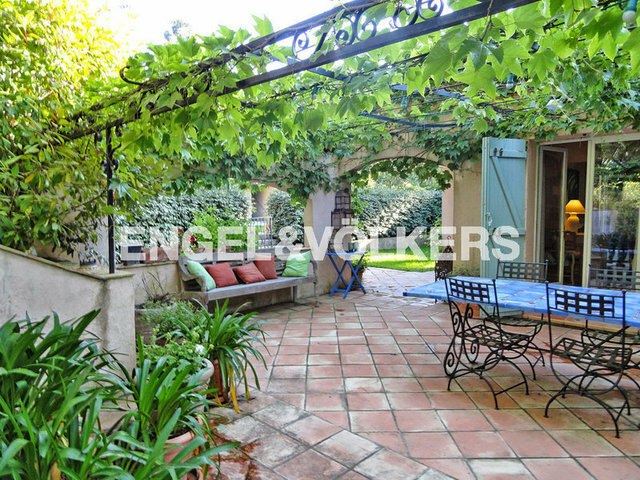 A pool of 40 sqm, a pool house, terraces, a patio, bowling grounds, a vegetable garden and 5 parking spaces.